Everyone knows how important making a strong first impression is but, how many people actually know that first impressions are made in only the first 7 seconds of meeting someone? Something in our subconscious immediately judges someones competence and trustworthiness based on the way they look. So what kind of judgments are we making? Well, in recent studies its been said that we determine if someone is a friend or foe in just 7 seconds. Are you confident? Do you have authority? These are all things our brains conclude based on thousands of immediate compilations of information. Recent studies have shown that nonverbal cues have a 4x stronger impact on first impressions than verbal cues. So no matter how much medical jargon you can regurgitate at a moments notice, it doesn’t mean much when it comes to first impressions. What exactly is it about the way you’re dressed that can make or break a first impression? 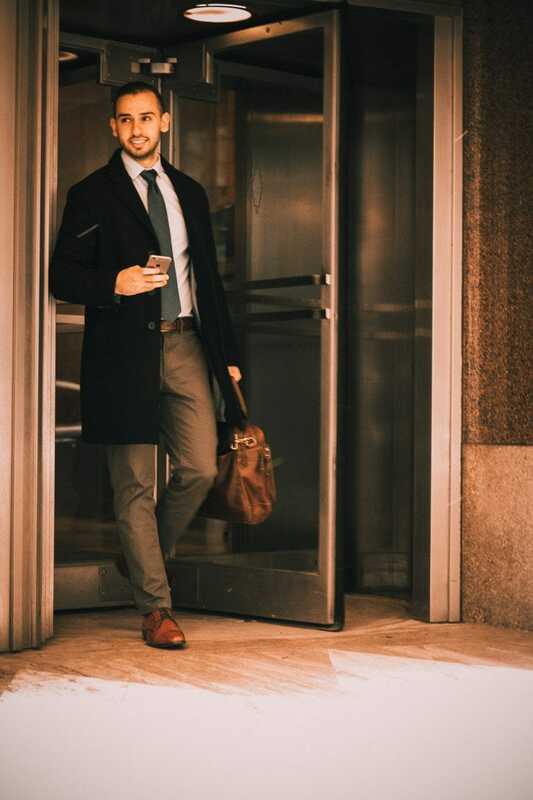 Aside from what people physically see on your body, feeling confident in that attire can set off a number of nonverbal cues. Attitude: dressing well and feeling good in what you’re wearing can have a significant effect on your attitude. I’ve always said, when you look good, you feel good, and when you feel good you make others feel good. Posture: There’s something about wearing a crisp shirt and tie that makes you stand just a little bit taller. Smile: have you ever thought you had something in your teeth and it affected the way you smiled? You tried covering your smile with your left hand as you shake with your right. Not exactly your best moment right? Maybe you didn’t know you had something in your teeth and went the Ignorance is bliss route! I’ve done both and I just want to acknowledge those painful moments. I’m sure your smile ranks pretty high when it comes to first impressions. Handshake: This is where you establish rapport. Handshakes have been around for centuries. It’s said that handshakes originated as a gesture of peace to let the other person know that you were not holding any weapons. Keep it nice and firm! And don’t let up on the ladies! I’ve had a women crush my hand before because I was trying to be gentle and I’ll never forget it. Here are a few rules + tips I usually follow when choosing a professional looking outfit. I try not to wear shirts or pants that are too loose or too tight. Make sure the collar is not too loose around the neck. I try to get my measurements done at departments like Nordstrom or Macy’s. The Tie– I used to hate wearing ties. I loved rocking the old Italian mobster look with a few top buttons undone and chest hair popping out ( just a few hairs). Unfortunately this doesn’t fair well in the professional environment. 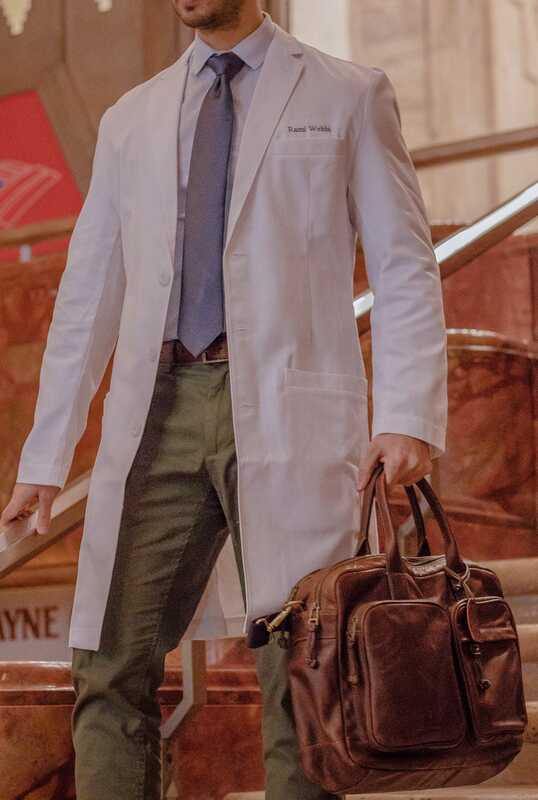 For the love of god, please don’t wear a tie if its going to hang just past the third button of your shirt and equally as horrifying having it hang past your crotch. You know what they say about guys with long ties? Overcompensating. Idk I just made that up. Try to get your tie length so that the tip of your tie hangs just past the upper part of your belt. 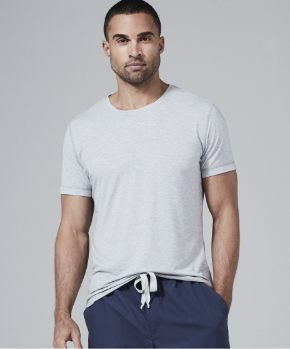 It’s all about the fit, I like pants that taper off at the bottom but are not too tight. Brands I like: Zara, Banana Republic. Get measurements, especially around the neck. You can have it done for free at places like Nordstrom. Have at least 1 high quality shirt. They are pricey but I would say they are worth to have for interviews or events. While not necessary, I prefer a leather hand bag that I can carry my laptop and reading materials in. It also looks good with professional attire. I recently noticed a group of soon to be interns interviewing at my base hospital. The majority of them wearing black suits with a white shirt and some colored tie. They looked more like they were on their way to a funeral rather than an interview. When it comes to suits and interviews try to avoid the black suit/ white shirt combo. It’s played out and really just makes you blend in with everyone else. Instead try a crisp navy suit with a light colored shirt and off-setting tie. Last but not least. 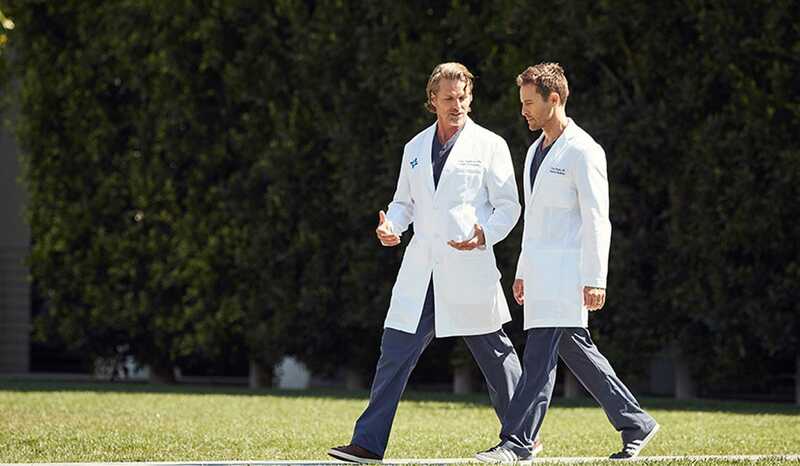 Lets talk about the importance of having a professional crisp looking white coat. 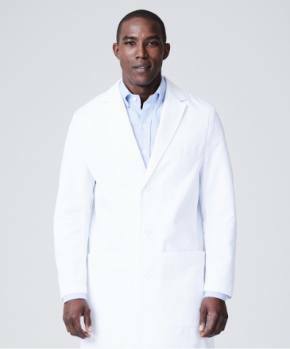 Buying a white coat can easily be one of the most important decisions you make when it comes to your professional attire, especially if you are going to be wearing it to work everyday. I got stuck with a white coat from school that was too tight around the shoulders and made putting it on and taking it off miserable. The fit was cardboard like and having to wear it everyday was not fun. 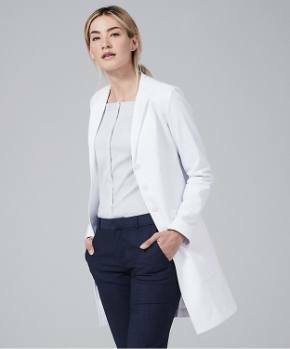 It wasn’t until I tried on a new white coat from Medelita that I realized what I was missing. 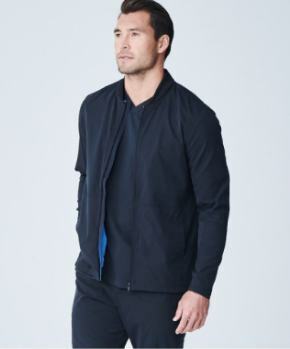 The fabric is very high quality and the fit and feel are extremely comfy. No cardboard feeling. No stiffness or tightness around the shoulders. It has to be the best brand I have come across both in quality and comfort. 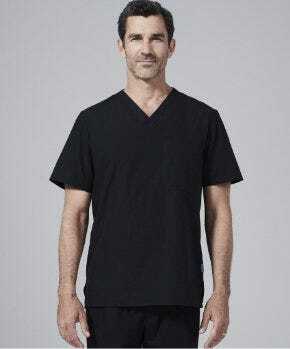 The Lab coat is fully customizable and they are able to add most hospital logo’s. Here are some pros that really set this brand apart from others. Proprietary technology on the fabric interior to keep you cool, dry and comfortable and a cutting-edge finish on the fabric exterior to repel fluid, soil, and stains. Featuring less than 1% shrinkage after first wash. Also, no pilling after 100 washes, and the highest rating in the industry when tested for strength, soil release, and fluid repellency. If you’re a medical student like myself and you are approaching your residency this is a great investment to make. In terms of fit, style and quality the Medelita brand is second to none. This could also make a great gift for someone who is just graduating medical school! This article was originally posted on NewAgeDocs.com.